This book, by your narrator Patrick Horgan, is a step by step account of his discovery that Arthur Conan Doyle's great crime, the apparent murder of Sherlock Holmes in 1893, was just a carefully planned hoax. He was famous for enjoying practical jokes, and, as reported in Science 83 by Winslow and Meyer, it is very probable that he was responsible for the still unexplained Piltdown Man Hoax. The diggings were a mere eight miles from Doyle's house, well within the range of doughty Victorian walkers. The key to the puzzle was the acceptance of the notion that every conundrum, or "conansdream" as Joyce put it, and all the little inconsistencies, which have so delighted the Baker Street Irregulars, were put there for a purpose. They were clues. 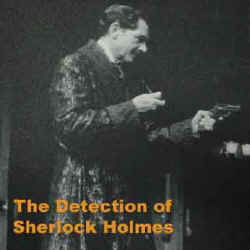 All the evidence to show that Holmes must survive, and Moriarty must die, is there in plain sight in the books before their great confrontation. The books after the return are full of help for the poor reader-detectives who failed to spot that they had been had. They just didn't follow the principles of detection laid down by their hero. After many years of rewrites this book has become a slightly fantastic autobiographical tale which follows up the red herrings until they start to smell odd, and at length latches on to the trail leading to the classical denouement. It might be a good idea to have a copy of the Memoirs at your elbow while listening to this book.